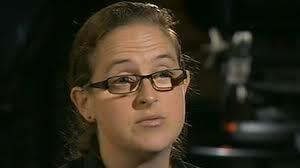 Watch the interview with Manus Island whistle blower, Liz Thompson, SBS Dateline February 25, 2014. The incarceration of asylum seekers must end regardless of whether or not it is bi-partisan government policy. The human suffering caused by mandatory detention is clear, even as mistruths and secrecy prevail regarding the situation of offshore detention centres. The government relies on contractors to operate detention centres, and detention centres are a source of multi-million dollar contracts for corporations. * As of Saturday, Transfield Services runs the Manus Island detention centre, and they are picking up a proportion of staff from previous contractors. The centre has been the scene of appalling bloodshed and violence in the last week, including the death of 23-year-old Iranian asylum seeker Reza Barati. Transfield Services is also expanding the detention services that it provides at Nauru. There is no ambiguity about Transfield’s involvement in the privatised detention industry in Australia. Transfield must cease its role in enabling and perpetuating the horror of detention centres. Transfield Services and Transfield Holdings are partners in the Transfield Foundation, which supports the Biennale of Sydney. The Chairman of the Biennale, Luca Belgiorno-Nettis, is also the Executive Director of Transfield Holdings and a Trustee of the Transfield Foundation. Asylum seekers are damaged by mandatory detention. The Biennale Board’s claim that they, along with Biennale artists, are ‘collateral damage’ in a complex argument is baseless. The argument is about the continuation of mandatory detention. It is the Biennale Board which has placed the Biennale and all its stakeholders in a situation where participating in the Biennale is now part of the financial circuits of the system of mandatory detention. The Biennale receives funds from detention profits through the Transfield brand. By furthering the cultural capital of Transfield, artists and other stakeholders are now implicated in the system of mandatory detention. What needs to be done is clear. Transfield Services must withdraw from the detention industry, or the Biennale Board must end its sponsorship by the Transfield Foundation. The Biennale Board’s statement of unequivocal support and gratitude for Transfield’s continued patronage is deeply regrettable. So long as the Biennale Board continues to implicate the Biennale in the system of mandatory detention through its relationship with Transfield, I will be joining other community members in boycotting the Biennale. End the system of mandatory detention. We are workers and educators in the arts sector. We were concerned to hear that a major sponsor of the Biennale, Transfield, is currently contracted to assist with the running of Regional Processing Centres (RPCs) on Nauru and Manus Island. These RPCs are part of the infrastructure of the Australian Government’s policy of mandatory detention, a policy that has been condemned by organisations such as the UNHCR for human rights abuses and breaches of international law. The Nauru and Manus Island RPCs in particular have come under criticism for the harsh and inhumane conditions in which people seeking asylum have been kept. We note in this respect that RISE: Refugees, Survivors and Ex-Detainees – Australia’s only organisation run and governed by refugees, asylum seekers and ex-detainees – support a complete boycott of the Biennale. We feel that it would be irresponsible on our part to support an event funded with profits made from the inhumane detention of people seeking asylum in Australia. For this reason we wish to inform you that we have decided to boycott the 19th Biennale of Sydney. Please let us know in a comment below if you would like to add your name to this letter.